Elevated cholesterol levels are no joke but neither are popular drugs like Lipitor, which have numerous undesirable side effects. Is royal jelly a valid, safe option for lowering LDL? If the Hippocratic oath that medical doctors take is "to do no harm," then the medical system has failed miserably. Fortunately, natural options that 'do no harm' are coming to the forefront and are now validated by researchers. In one study, a group of researchers in Japan decided to examine the effects of Royal Jelly on blood cholesterol levels in 15 human volunteers. They gave half the volunteers 6 grams of Royal Jelly per day for 4 weeks. 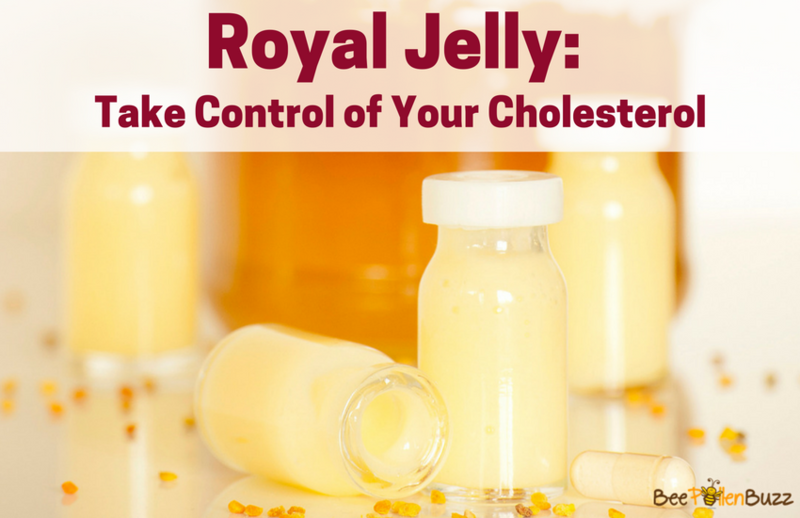 Those taking the Royal Jelly saw their total cholesterol and low-density lipoprotein (LDL) decreased significantly compared with those who didn't get the RJ. HDL (the good cholesterol) levels didn't change in either group, nor did triglyceride levels. Based on this study, it appears that Royal Jelly, at a relatively high dose of 6 grams per day helps to lower 'bad cholesterol' and total cholesterol while not harming good cholesterol levels. The scientists suggested that royal jelly does this by lowering Very Low Density Lipoproteins. These are produced in the liver and released into the bloodstream to supply body tissues with a type of fat (triglycerides). High levels of VLDL cholesterol have been associated with the development of plaque deposits on artery walls, which narrow the passage and restrict blood flow. 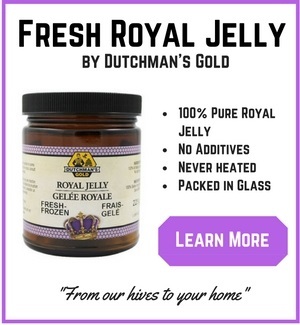 Most would agree that taking 6 grams of royal jelly per day is both inconvenient and expensive. Could a lesser dose be equally effective? Let's find out. In a second study, researchers examined the effects of royal jelly on cholesterol but in a much smaller dose, 3150 mg's per day or roughly half of what was used in the first study. Forty subjects with mildly elevated cholesterol levels (180-200 mg/dL) were randomly selected and divided into two groups as experimental or placebo. They were instructed to take 3150 mg of Royal Jelly or placebo per day for three months with one month of follow-up without any supplementation. Total cholesterol and low-density lipoprotein cholesterol (LDL) levels were reduced significantly after administration of Royal Jelly. Triglyceride (TG) and high-density lipoprotein cholesterol (HDL) levels were not considerably altered. In what is likely the mechanism of action, the researchers noted something very interesting. They found that 3 months of royal jelly supplementation considerably improved DHEA levels, which they suggested is what lead to the reduction in LDL levels and decreased risk of cardiovascular disease. Contrary to drugs like Lipitor, royal jelly caused no liver or kidney damage during the study. Two studies done in humans (not animals) is pretty strong validation that royal jelly is a legitimate, natural alternative to common cholesterol drugs. It is important to note that the participants in this study consumed 3 grams of royal jelly per day. 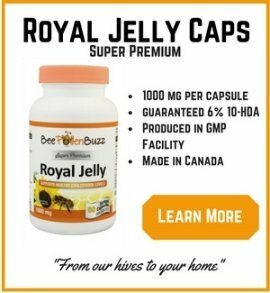 While this isn't a huge amount of royal jelly, if you are going to use royal jelly to lower your cholesterol levels, I strongly suggest you begin by taking lower doses. While side effects are rare, they are possible with such a strong substance. Begin by taking on 1 gram per day and slowly increasing the dose over the span of several weeks provided you tolerate it well. One gram per day is equal to one capsule of our 1000 mg royal jelly capsules or about 1/4 teaspoon of our royal jelly powder. Nutritional Science Vitaminol, 2007 Aug:53(4):345-8.